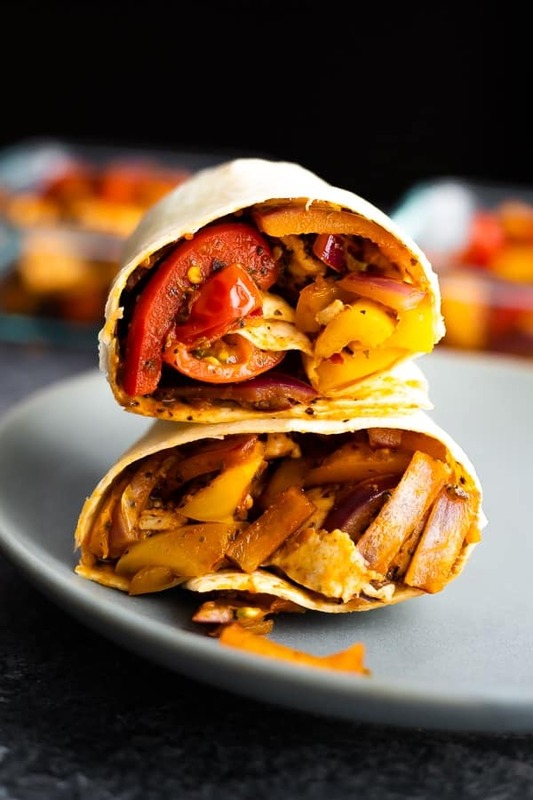 This cajun chicken wrap recipe is perfect for meal prep! Ready in under 20 minutes, packed full of veggies, and SO delicious for lunches or dinners! When it comes to easy and fresh, the wrap is where it’s at! I’m finally sharing this cajun chicken wrap recipe with you, after we first enjoyed it in our Lunch Prep Challenge over a year ago! This cajun chicken wrap is slightly spicy, and so full of flavor. It’s also packed full of veggies and will leave you satisfied, but not over-stuffed, after lunch. And the best part is how easy it is to cook! 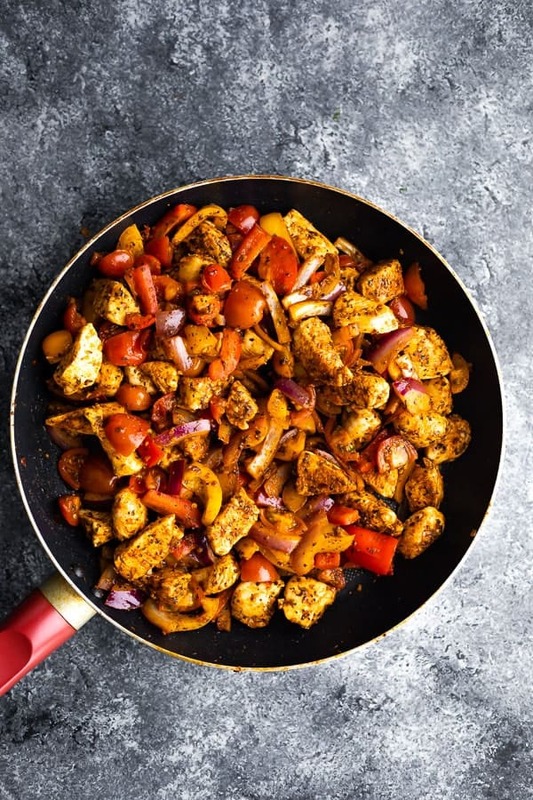 Just one skillet and 20 minutes is all you need for four easy lunches (or dinners) for the week. For this recipe, I recommend chopping up all your veggies and your chicken ahead of time, then you are good to start cooking! Cook chicken in some olive oil and cajun seasoning until chicken is cooked through. Transfer cooked chicken to a clean bowl. Cook onions & peppers in some olive oil and cajun seasoning for 5 or so minutes, until cooked through. Add some diced cherry tomatoes and cook for 1 minute, until softened. 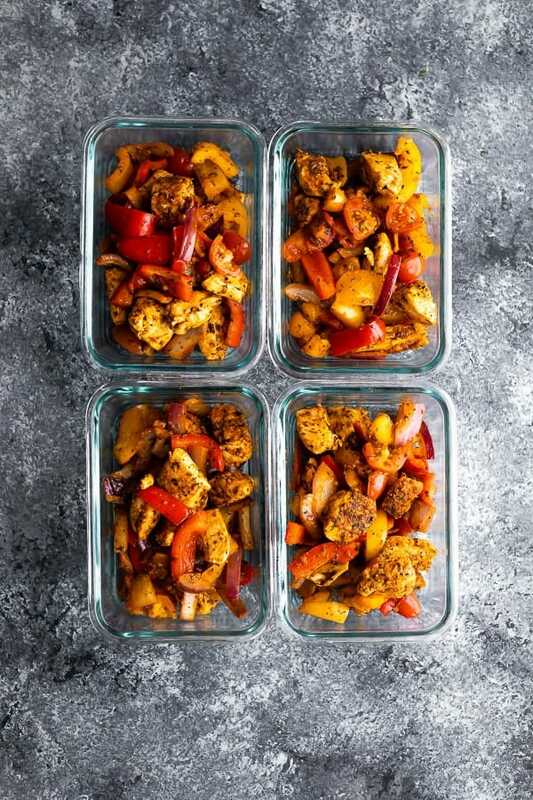 Add back the chicken, toss everything up, then either serve or portion out into meal prep containers. Serve in a wrap or tortilla! 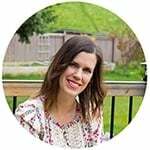 How do I turn this cajun chicken wrap recipe into a meal prep recipe? Portion out your filling and store in the fridge for up to 4 days. When you are ready to serve, heat in the microwave until steaming hot. Spoon into wraps or tortillas and enjoy! What kind of cajun seasoning do you use? I use this one, which is NOT VERY SPICY. Taste your cajun seasoning before cooking this recipe, and if you find it to be spicy, reduce the quantity. Can I make this low carb? Sure, I would start by making your own cajun seasoning to reduce the carbs. I would skip the onions and maybe add a lower carb veggie like zucchini instead. And, I would serve in a lettuce wrap! Hope you enjoy these suggestions! I used Clubhouse Cajun Seasoning which is not very spicy! Be sure to taste your cajun seasoning and reduce if yours is spicy. Heat olive oil in a medium non-stick pan over medium heat. Add the chicken, and sprinkle with 1 1/2 tablespoons of cajun seasoning. Cook, stirring frequently, for 5-7 minutes, until cooked through. Remove the chicken from the pan and place in a clean bowl. 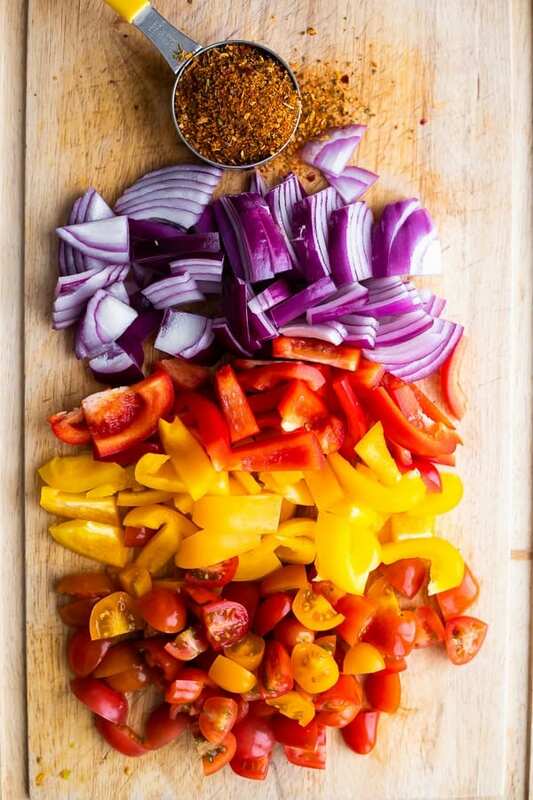 Add the bell pepper and onion to the pan, sprinkling with another 1 1/2 tablespoons of cajun seasoning. Cook for 5 or so minutes, until slightly softened. Add the tomatoes to the pan, cook for 1 minute until soft. Add back the chicken, toss everything up, then remove from the heat. Divide between four 2-cup capacity storage containers. 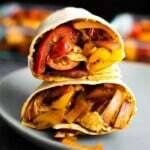 Heat in the microwave, then spoon the cajun chicken wrap filling into a large tortilla and enjoy.